What’s better than curling up with a good book? Or, better yet, a series of books? “Little House on the Prairie,” “The Baby-Sitters Club” or “The Boxcar Children,” anyone? But books can get pricy. 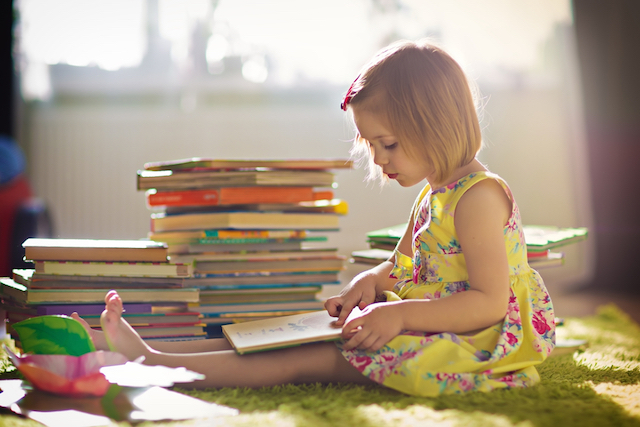 How can you find books for your little ones to read without spending a fortune? By getting free books, of course. While it’s great to support authors whenever possible, sometimes buying new books just isn’t in the family budget — and you don’t want to deprive your kids of the love of reading. Use these strategies to get free kids’ books. Some are physical books and others are PDFs or ebooks, but they all offer great ways to give kids access to a wide variety of reading material — without spending a cent. Dolly Parton loves reading so much, she wants every child to have the opportunity. In 1995, the country music superstar started Imagination Library to give free books to children in her home county in Tennessee. She wanted to help preschool-aged children develop a love of reading, even if their families couldn’t afford books. Each month, her organization mailed a book to each family, so the kids would look forward to their special delivery and “feel the magic that books can create,” the organization’s website says. In 2000, she expanded the program, partnering with local communities to send more than 60 million books to kids in the U.S., Canada and the U.K. Local partners include preschool programs, libraries and service organizations along with many other groups. To get free books for your child, register online, search for a local program and follow the instructions. Download free PDFs from this online library of kids’ books. With picture books for toddlers, books with pictures and words for bigger kids and chapter books for young adults, this site has something for everyone. You can even get coloring books. The site recommends printing the PDFs and stapling the pages together — or reading them on a tablet or other electronic device. Books on the site are either submitted by authors, in the public domain or have a Creative Commons license that allows sharing. Some books also include links so you can purchase a physical copy if you’d like to support the author. Titles include “Fairy Circles: Truly a Fairy Tale,” about fairies in the Namibian desert, a nonfiction book about penguins, and even a playful tale describing what Santa does during the summer. Kids in first through sixth grades can earn a free book by filling out the “Summer Reading Triathlon” reading journal. Just have your kids answer a few questions about the longest book they’ve ever read and what book makes them stretch their imagination the most to complete the journal. After your kids fill it out, bring it to a Barnes & Noble store between May 17 and September 6 to earn a free book from a selected list. Immerse your children in pre-k through fifth grade bilingual reading by signing up for Read Conmigo. If you live in California, Florida or Texas, the program will mail you a book every four months. Online resources like bilingual activities and educational tools are available to everyone, regardless of location. More than 108,000 parents have signed up for the program since it started in 2011. Reading is Fundamental partnered with ustyme to allow free access to 50 classic ebooks. These classic books include “Goldilocks,” “Little Red Riding Hood” and “The Three Little Pigs,” and some are also available in Spanish. Kids can even read along with a favorite adult using the ustyme app to make live video calls! Neighborhoods all over the country are adding Little Free Libraries. These small shelves allow people to share books and always have something new to read. Find a free library near you, leave a book you’ve finished and grab a new one to share. Different libraries will have different offerings. If you’re looking for some kids’ books, why not put up a “wanted” post on Craigslist, Freecycle or even Facebook? Plenty of people have books they’re not using and would be happy to share, but it’s not on their minds unless you ask. Of course, your local public library has plenty of books to borrow for free. This is a great option for families who like to constantly switch up their reading selections. But some libraries will even have books you can keep, such as older books they’re planning on tossing out. Ask your local librarian if they may have any available. Amazon has a ton of free kids’ books available for Kindle downloads. Just search for “children’s books, Kindle edition” and sort price “low to high” to see all the freebies. Amazon Prime members can borrow books for free through the Kindle Owners’ Lending Library, which allows users to borrow one book each calendar month. The program offers a wide range of kids’ books to pick from, but you’ll need a Kindle (and a Prime membership) to read them. While mostly for older kids, Project Gutenberg has a wealth of free downloads available. Type “children” in the search field and classic kids’ books will appear, from “The Tale of Peter Rabbit” to “Peter Pan,” “Anne of Green Gables” and many other favorites. The site offers a total of over 51,000 ebooks to download for free, including many books for kids. Your Turn: Do you know of any ways to get free kids’ books?